With less than two weeks to go until the primary, the leading Republican candidates running in a special election for an open state House seat are showcasing their endorsements–and it is somewhat reminiscent of last year’s GOP attorney general primary. 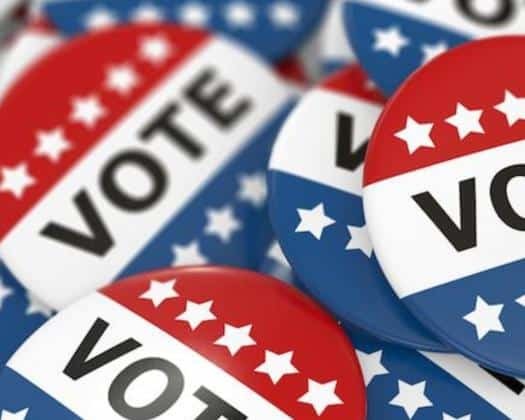 The top two Republican candidates vying for the open seat are Mike Watkins, the CEO of Big Bend Community Based Care, and Jason Shoaf, a vice president of the St. Joe Natural Gas Company. Former Homestead Mayor Lynda Bell, who led Florida Right to Life, and nurse and conservative activist Virginia Fuller, who unsuccessfully for Congress in California before challenging U.S. Rep. Al Lawson, D-Fla., last year, are also running in the Republican primary. Political consultant Bert Ralston, a commentator for the Florida Radio Network, said the two candidates have been trying to nail down support by highlighting their crime-fighting credentials where Watkins has the advantage as several county sheriffs have thrown their support to him. Sheriff Kevin Crews of Washington County, Sheriff A.J. Smith of Franklin County, Sheriff Wayne Padgett of Taylor County, Sheriff Eddie Joe White of Liberty County and Sheriff Alfred Kenneth McNeill of Jefferson County have all endorsed Watkins. The Police Benevolent Association (PBA) threw its support behind Watkins as well. “This is a strong endorsement for the Watkins campaign,” Ralston said. Ralston said the campaign is starting to mirror last year’s Republican primary in the attorney general race between Ashley Moody and then state Rep Frank White. White received endorsements from social conservative groups and pro-life organizations. But, Ralston noted, Moody won the primary thanks to her strong support from law enforcement officials, especially county sheriffs. “When Moody ran an ad on the air from local sheriffs endorsing her campaign, that pretty much sealed the deal,” said Ralston who also fills in as a host for the WBOB morning show. The Shoaf campaign does have the support of Madison County Sheriff Ben Stewart and Gulf County Sheriff Mike Harrison. Watkins thinks having more endorsements from law enforcement officials will help him in the primary. “When the majority of sheriffs endorse your campaign that says they know they will have a friend to watch their back in Tallahassee,” Watkins told Florida Daily.